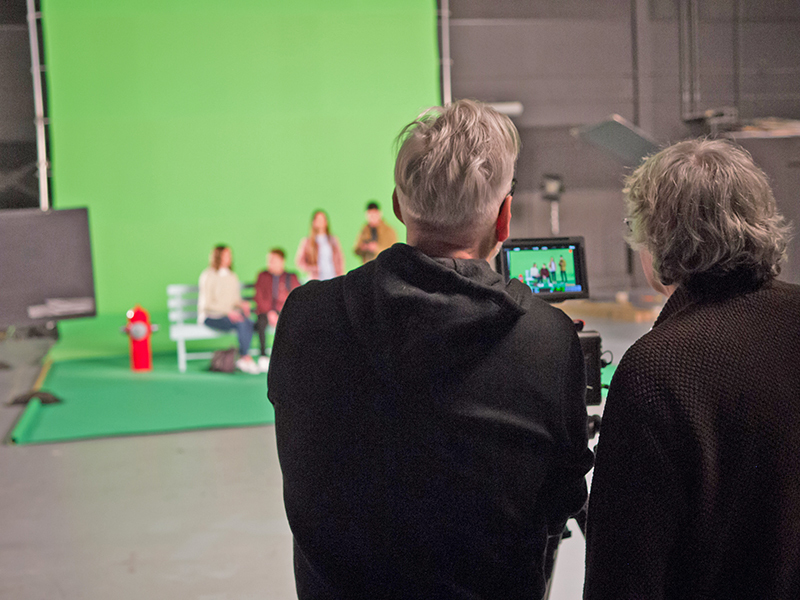 The Java Post Production crew, along with director Stephen Hall, DOP Mark Dobrescu, and advertising agency LMNO, were recently at the Canada Saskatchewan Production Studios in Regina, working on the latest commercial project for SaskTel. Watch for the finished campaign to hit your screens in the coming weeks. 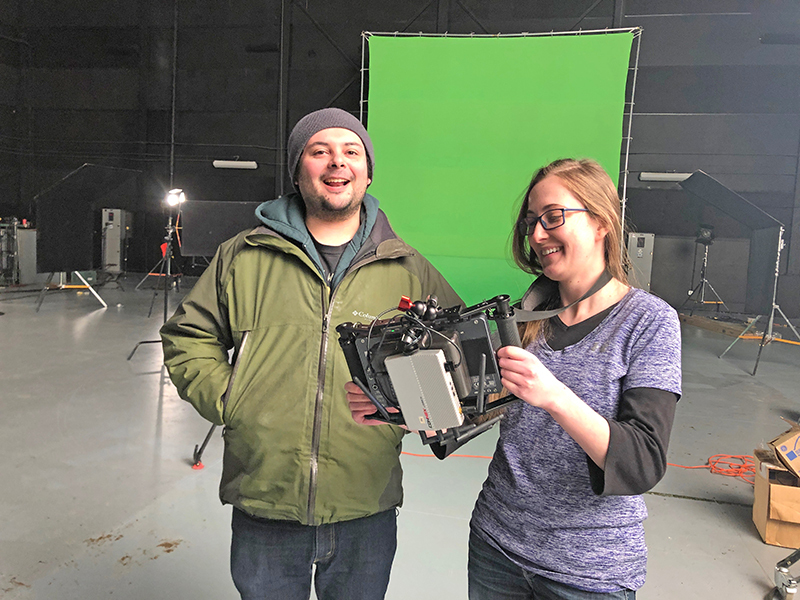 Java Post's animator/graphics guru Tomás Ibar and edtior Kristine Dowler check out a shot in the wireless monitor as the crew preps the green screen background at the Canada Saskatchewan Production Studios. 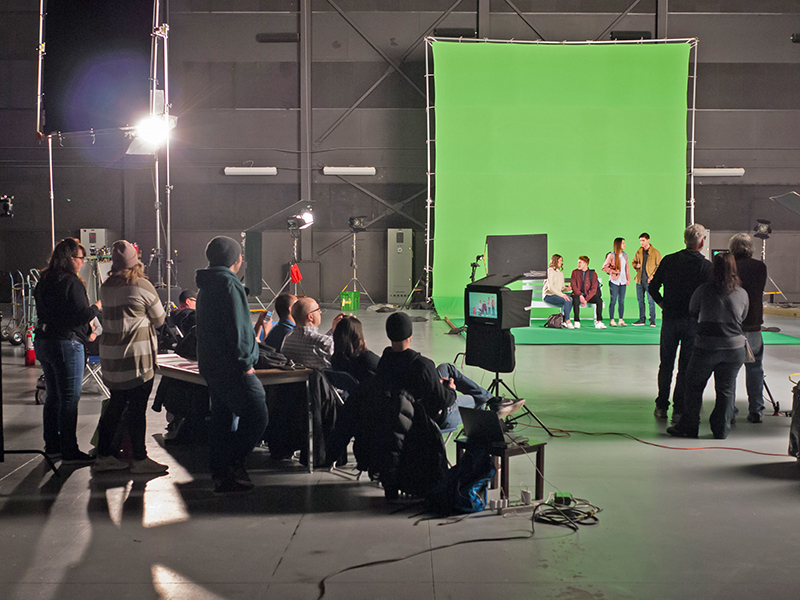 The whole gang watches from the sidelines as the actors go through the scenes against the green screen. 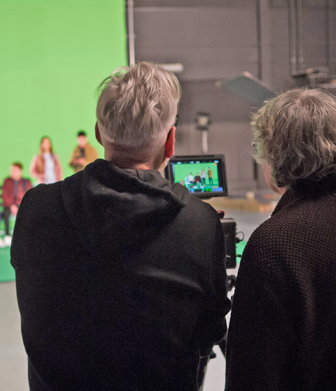 Director Stephen Hall (left) and Director of Photography Mark Dobrescu keep an eye on the camera monitor as the actors perform. To view some examples of the work done by Java Post Production, CLICK HERE. To view some examples of the work done by Java Post Aerial Photography, CLICK HERE.